BEACON joined Alice, the virtual business advisor, and 50 ecosystem builders at the United Nations Foundation to discuss strategies for building inclusive small business ecosystems. Check out Alice's new digital video series, Role Breakers, which elevates the stories of diverse founders. Stay tuned for more to come! Support these founders during the Vinettta Project's Venture Challenge Semifinals! Kimberly Moore, GoTogether: The company created Carpool2School, a product "innovating the ways parents, schools and teams safely get their children to be successful in life. Dawn Musil, HiveLend: A platform connecting local beekeepers with farmers who rent hives. Ronit Avni, Localized: A platform built for professionals who want career guidance from experts. The multilingual platform offers mentorship and group learning. Dipanwita Das, Socero: The company offers tools to help find answers at work using artificial intelligence and training solutions. Looking for DC's tech resources? This woman-owned company is helping to guide the way. Silver Strategy, a women-led PR & Marketing agency in DC, released the "Washington, DC Tech Resource Guide" as a one-stop-shop for finding the support that DC's tech ecosystem has to offer. Check out the list and offer suggestions or changes by tweeting to @silverstrategy or emailing hello@silverstrategy.com. Nominate a changemaker for the Women in Economic Development and Civic Engagement Awards! 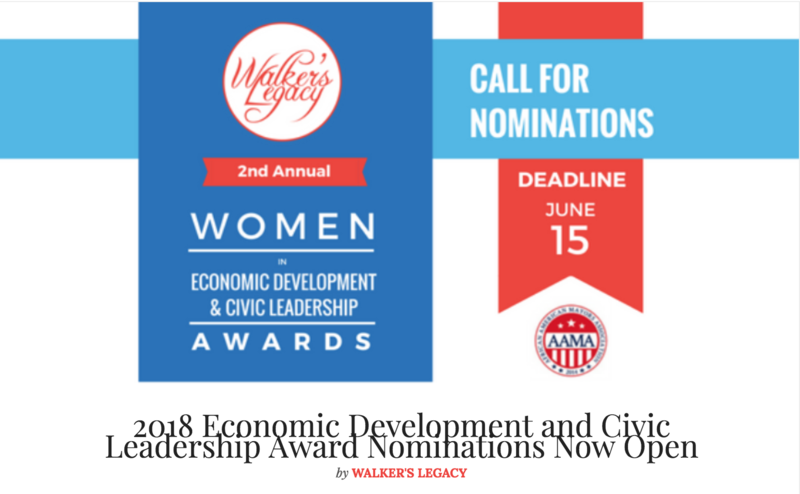 Walker's Legacy is proud to partner with the African-American Mayors Association and Axios to celebrate the achievements of multicultural women who champion the development of policy and programs to advance economic development, entrepreneurial ecosystems, and job opportunities within their local communities. Nominate her by 6/15. 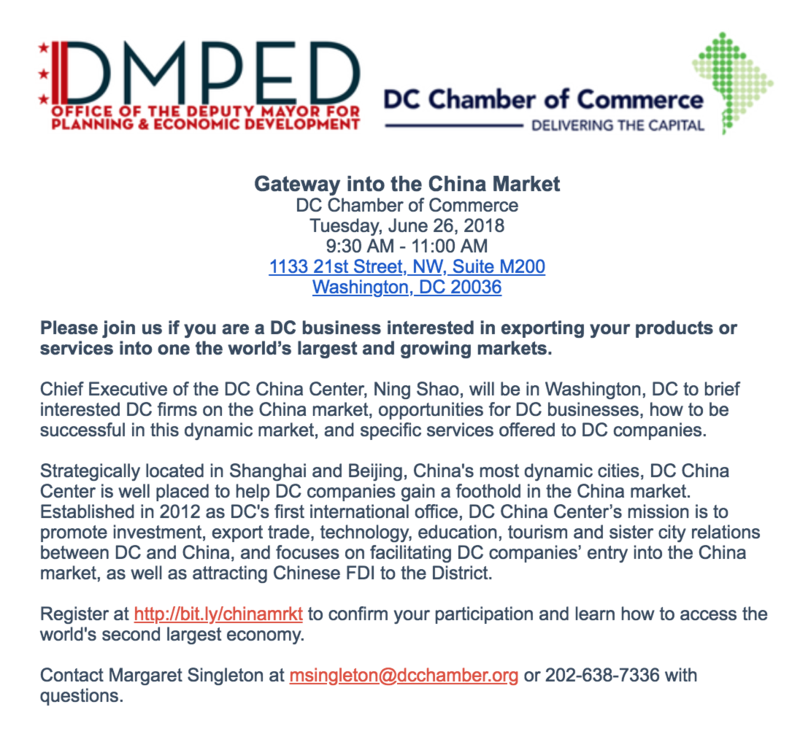 Check out coverage of the widespread community support during DC Small Busines Week! Check out our feature in DCInno! Inclusive Innovation Fellow, Deloris Wilson, was recently interview on findings from her report, "Building Inclusive Ecosystems with Intentionality." Check out the coverage here! The 2018-2019 BEACON Grant Program is launching soon! Stay on the lookout for details on the 2018-2019 BEACON Grant Program! You won't want to miss our launch event happening later this month. Did you miss the DC Biz Chat Presentation on Financing Your Business? In May, the Washinton, DC Economic Partnership hosted an interactive presentation on financing your business. Missed the event? Click here for the full presentation. The Minority Business Development Agency (MBDA) has issued a Broad Agency Announcement for innovative proposals for initiatives that support minority business owners. Priorities include Access to Capital, Global Minority Women's Economic Empowerment Initiatives, HBCUs, virtual business centers and more. Apply by 7/11. MADE to MARKET's cohort-based program helps DC's product-based businesses brand their products and reach more customers. Apply by 6/24. Are you the founder or co-founder of a tech-enabled social impact company? 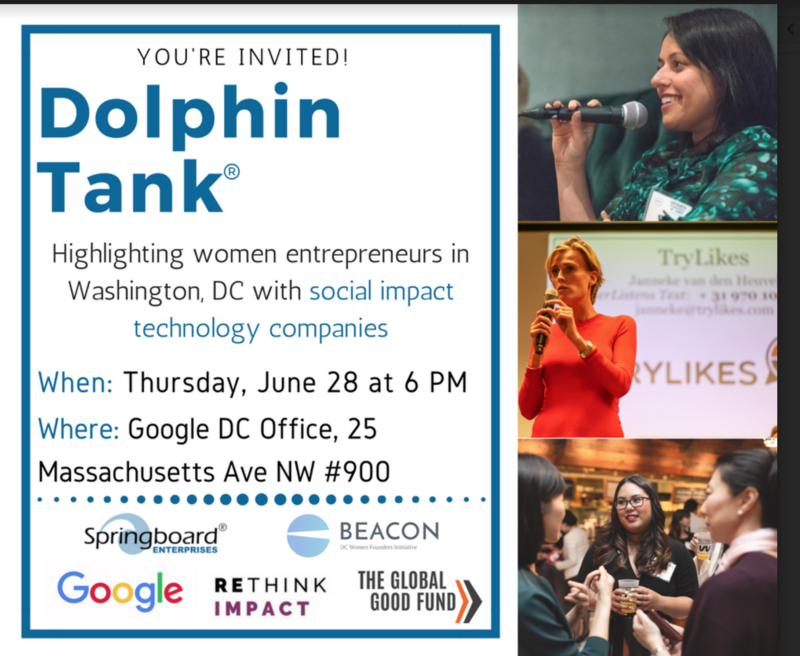 Apply to pitch for the BEACON: Social Impact Dolphin Tank presented by Springboard Enterprises. Applications are open and the live pitch event will take place on 6/28. 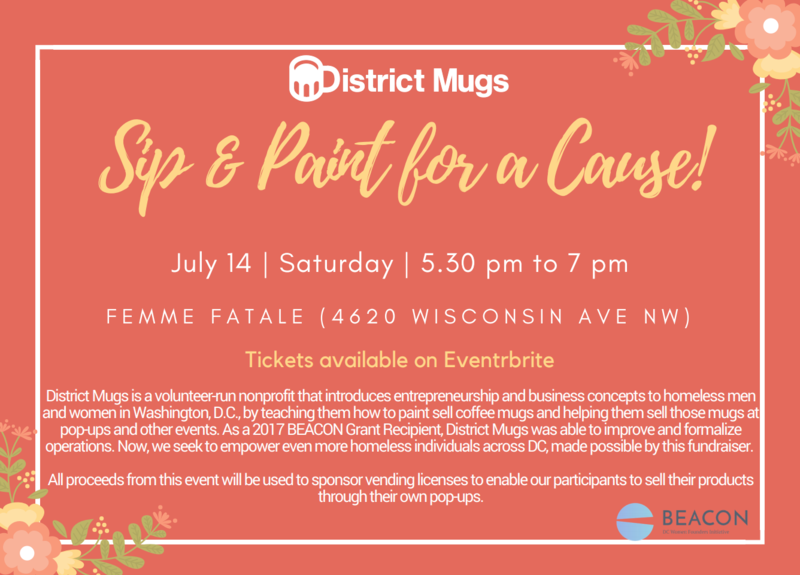 Do you have an idea to make DC more awesome? The Awesome Foundation will award $1,000 grants to support projects that directly benefit DC. Grants are awarded monthly but apply by 6/13 if interested in pitching at their first ever live pitch event on 6/25. The PayPal Business Makeover Contest awards three businesses with $10,000 and a complete business makeover! Apply by 6/15. Lighthouse Labs is the premiere nationally ranked startup accelerator in Virginia. They are a non-profit, mentor-driven startup acceleration program that provides $20,000 to accepted startups without taking equity. They also connect promising founders with proven mentors, investors, support services, working space and lean startup education to move from idea to viable high growth venture in 3 months. Apply by 6/15. Conscious Venture Lab® and SHIFT Ventures deal with companies that look to improve how we live together, find new ways to use technology to increase economic opportunities, create more livable and equitable urban environments, and provide services to issues like overtaxed civic infrastructure, high unemployment, intractable violence, transportation, access to health care and food and water shortages that making city living continually more difficult. Apply by 6/17. 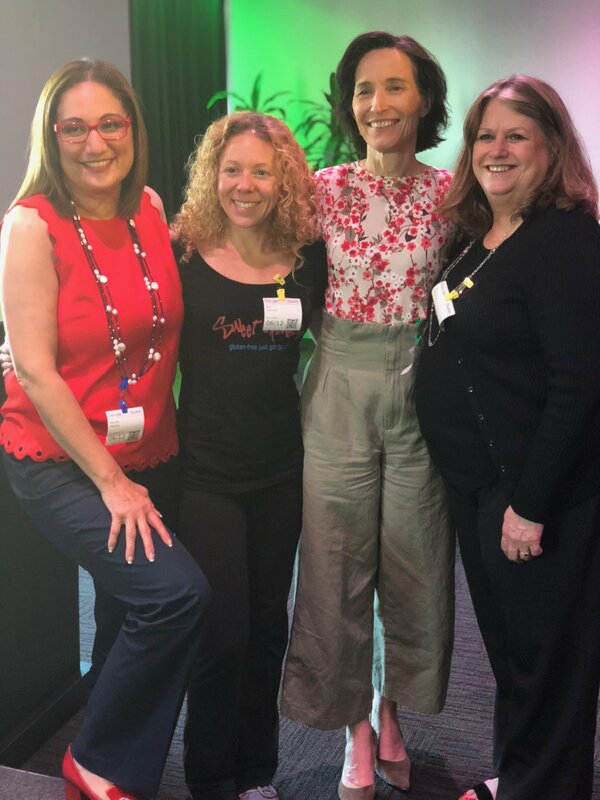 Dreamit Health is an accelerator and venture fund designed to help pre-Series A startups with initial sales traction who are looking to gain customers and to scale quickly and efficiently. The program is 14 weeks, over half of which is virtual (to suit the needs of more mature startups). These weeks are filled with intensive, growth-focused programming, hands-on coaching, warm introductions to enterprise-level customers, two weeks of meetings with potential customers (“Customer Immersions”), and a two-week East and West coast investor roadshow to build relationships with top-tier VCs. And unlike most startup accelerators, Dreamit does not take a fixed equity stake for entrance into the program. Apply by 6/20. The  Inaugural  AnitaB.org PitcHER™ contest is a pitch competition that brings leading women entrepreneurs to the Grace Hopper Celebration – the world’s largest gathering of women technologists – September 26 to 28, in Houston, Texas, with the goal of supporting, encouraging, and providing new funding opportunities to these entrepreneurs. Apply by 6/30. 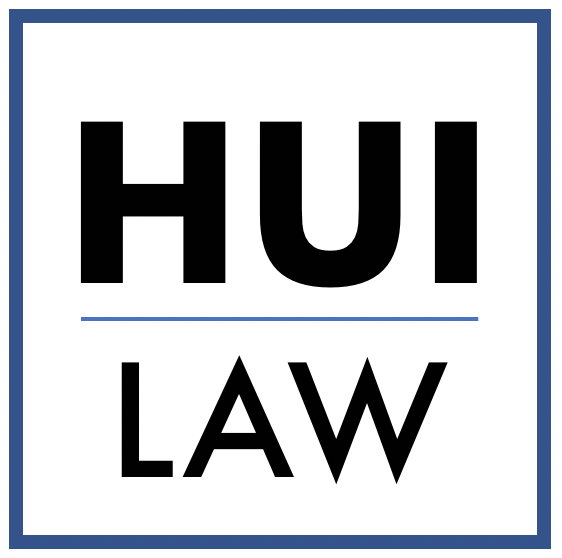 Tammy Hui Law + Strategy PLLC provides practical legal advice to nonprofits and small businesses in the areas of entity formation, corporate governance, legal compliance and business transactions. They are committed to providing excellent service at a reasonable price-point to help clients budget around their legal to-do lists. Founder and Principal Tammy Hui is a new business owner that seeks to be connected to others in the BEACON community. So, don't be hesitant to reach out! 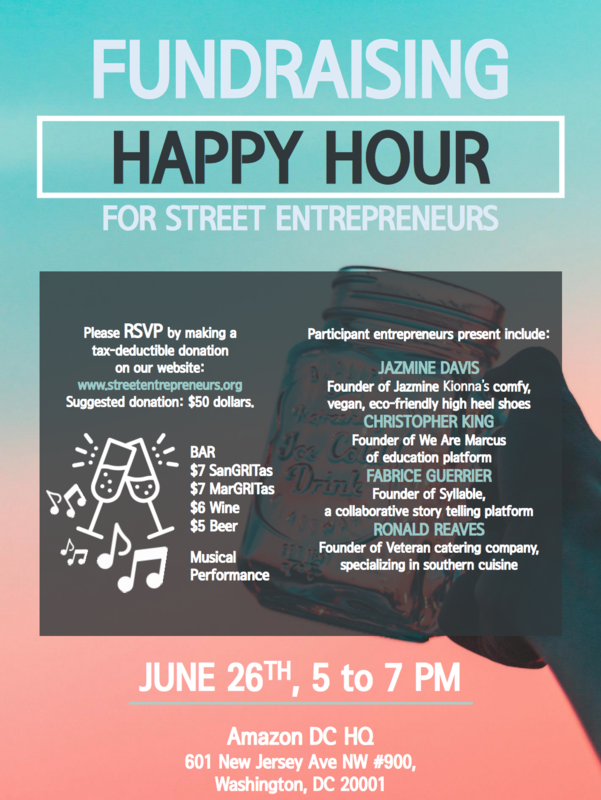 Street Entrepreneurs is a community run non-profit that ignites the power of entrepreneurs by investing in grit and talent through business education, mentorship and start-up grants. Founder and CEO, Juliana Cardona Mejia, is an inquisitive, passionate and creative thinker that is eternally iterating community solutions that drive action. She is a student of community organizing, human-centered design, improv and creative facilitation techniques. Interested in supporting Street Entrepreneurs? Join the team for a fundraising happy hour on June 26th on Amazon DC's rooftop. Click here to RSVP. Scholarships are available for Deal Camp - a four-day training institute for investors. Apply by 7/21. Nominations for the Women in Economic Development and Civic Engagement Awards close 6/15.